The all new Accumulair Diamond with its APR 1950 rating is the highest efficiency Accumulair filter on the market! 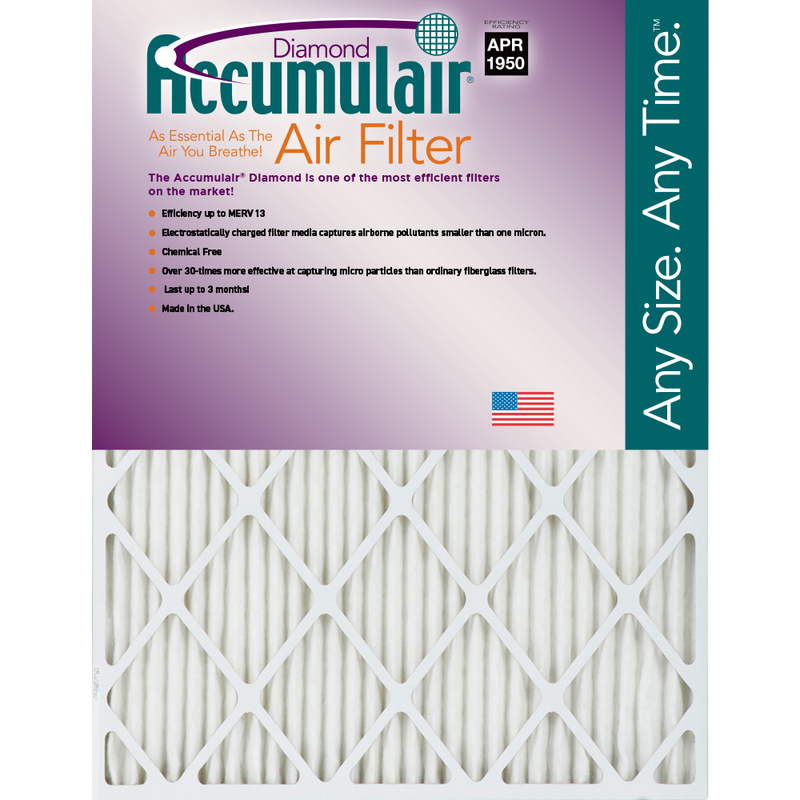 The all new Accumulair Diamond with it's APR 1950 rating is the highest efficiency Accumulair filter on the market! Great for helping reduce airborne allergens such as bacteria, particles that carry viruses, pollen, mold spores, fine dust, and petdander. Accumulair filter material will not support the development ofmold, mildew, bacteria or other microorganisms in normal use. This product is listed and rated by Underwriters Laboratories asU.L. Class 2. The Accumulair Diamond (APR 1950) has the same airflow as the Accumulair Platinum (APR 1550)!